For North Carolina and South Carolina residents, Cockroaches are a common problem. Like any Pest Control issue or Pest Infestation, there can be many contributing factors to why your home or business is having an issue with unwanted pests. Mosquito & Pest Xperts is your One-Stop-Shop for Cockroach Extermination and Cockroach Prevention. Our trained Pest Control Technician will meet you at your home or business and perform a thorough inspection citing main infestation areas, and also potential causes of the infestation. 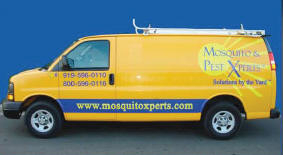 Our goal at Mosquito & Pest Xperts is to not just treat and cure your Cockroach and Pest Control issues, we want to provide you with the right knowledge and foundation to keep your home or business safe from unwanted guests. At Mosquito & Pest Xperts, we also have Pest Control maintenance packages for home or businesses which will allow us to treat and cure your immediate Pest Control issues, and also keep a watchful eye for general & preventative Pest Control maintenance. 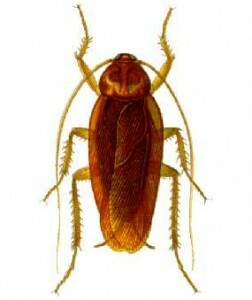 The best known of these pest species is the American cockroach, Periplaneta americana. Cockroaches feed on both human food and also food that is left out for family pets. The old saying is very true about Cockroaches – if you see one, there could possibly be millions. Our simple philosophy for Cockroach Extermination and Prevention starts with you – the home or business owner: Early detection is key. If you see a Cockroach in or around your home, its time to call a trained Pest Control and Pest Extermination company. Mosquito & Pest Xperts will work with you to set fair and reasonable expectation levels to combat the issue at hand. If you know you are having a problem with a Cockroach Infestation, or if you just want to be assured that there isn’t a problem at all, call Mosquito & Pest Xperts today for a free in home consultation!